Another reason why we are gathered here today is to celebrate the anniversary of a momentous event in our history. We are here to commemorate the 50th anniversary of the landing of the Granma yacht on December 2, 1956, a date which marks the birth of the Rebel Army and of its true successors: the Revolutionary Armed Forces. It is to the combatant people, heroic protagonist and legitimate pillar of the Armed Forces, and to their founder and Commander-in-Chief that this Military Parade is dedicated. This is divided into sections representing the beautiful history of 138 years of struggle by the Cuban people for their final independence. Firstly, the Liberation Army that fought the colonial yoke, then the rebel army against neo-colonial tyranny followed by the Revolutionary Armed Forces that defend the Homeland, the Revolution and Socialism; One army of the people in three different stages of history. "The Rebel Army was the soul of the Revolution. Its victorious arms opened the way for a new free, beautiful, striving and invincible new homeland. Its soldiers vindicated the blood generously shed in all the struggles for independence and with their own blood laid the foundations of Cuba’s socialist present. They gave to the people the weapons wrested from the oppressor in an epic struggle, and merged with the people to become forever onward the armed people”. And “... upon the foundation of our Party, the vanguard of our working class, the symbol and synthesis of the ideals, aspirations and history of the Cuban Revolution from the glorious days of La Demajagua until now, and follower of the work of Marti's Revolutionary Party and of the courageous founders of the first Marxist-Leninist party of Cuba, our army, heir to the heroism and patriotic honor of the Liberation Army, that has victoriously carried on its struggles, placed in the hands of the Party the banners of the Revolution and has ever since and forever been its most loyal, disciplined, humble and staunch follower”. This is what Fidel said. Also, in the context of the 50th anniversary of the Revolutionary Armed Forces (the FAR), it is fitting to ratify the monolithic unity between the People, the Army and the Party; this unity has been deeply rooted over the years following the triumph of the Revolution on January 1st, 1959; this unity is our main strategic weapon, which has made it possible for this small island to resist and overcome so many aggressions from imperialism and its allies; this unity provides a basis for the internationalist work of the Cuban people and is the reason for the heroic deeds of its children in other countries around the world, following Marti's maxim that "Homeland is Humanity". We are experiencing an exceptional moment in history. 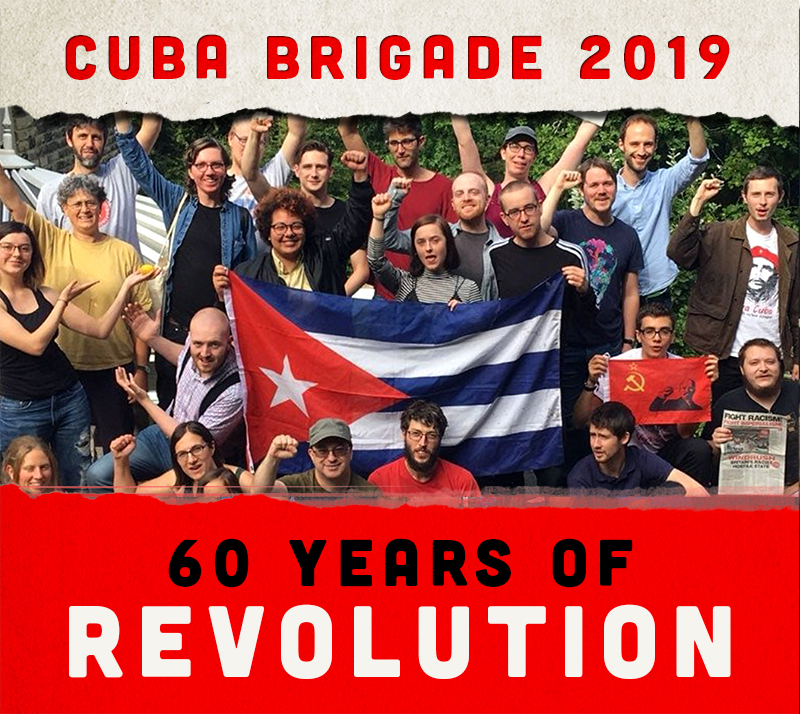 Many thought that the demise of the socialist block and the collapse of the Soviet Union would spell the end for the international revolutionary movement. Some even suggested that we abandon the ideals to which entire generations of Cubans had dedicated their lives, while over the last few years the US government, in the opportunistic manner characteristic of them, have stepped up their hostility and aggressiveness against Cuba to an unprecedented high, in the hope of economically suffocating the country and overthrowing the Revolution by intensifying their subversive acts. In this regard, the surprise and frustration of our enemies was great, and the admiration of the oppressed masses even greater, when they witnessed the perseverance, equanimity, maturity and self-confidence that our people have shown over these last four months. Despite the maneuvers and pressure of the United States and its allies, the prestige enjoyed by Cuba around the world has strengthened. An example of this was the 14th Non-Aligned Summit successfully held in our capital last September, and more recently the unprecedented support given in the United Nations General Assembly to the resolution condemning the US blockade on our country. In Latin America, the application the neoliberal formula imposed by the United States and their European buddies has led the continent into the sad situation of being the region in the planet where the opulence of the oligarchy with close links to foreign capital is the most insulting and obnoxious when compared to the poverty, insalubrities and ignorance in which the majority of the population lives. Over recent years, the peoples of Latin America have been progressively expressing their feelings of indignation and repudiation towards the treacherous and submissive policies adopted by traditional governments and parties. Popular and revolutionary movements are getting stronger and despite Washington’s multimillion-dollar campaigns of disinformation, the blackmail and brazen interference, new and experienced leaders are assuming the leadership of their nations. The attempt by the United States to economically annex Latin America by way of the FTAA was thwarted while a project of integration known as the Bolivarian Alternative for the Americas, ALBA, is taking its place following a proposal by President and brother, Hugo Chávez, to benefit the dispossessed masses. Recent events in the international arena bear witness to the failure of the adventurous policies of the current US administration. On November 7, the people of that country showed I the ballot box their rejection of the strategic concept of pre-emptive war, the use of lies to justify military interventions, kidnappings and secret prisons, and the despicable legalization of torture in the so-called war on terrorism. Three years and seven months after President Bush euphorically and precipitately declared on board an aircraft carrier “mission accomplished” with regards to the war in Iraq, the bodies of young American soldiers killed in a war spurred by the desire to control the region’s energy resources continue to be sent back to the United States. Nobody dares anymore to predict when it will end. The US government is at a dead-end: on the one hand, it realizes that it cannot prolong occupation in Iraq, while on the other it admits that it doesn’t have the minimum conditions needed to pull out without damaging their interests. Meanwhile, the number of deaths and mutilations continues to mount among civilians subjected to an internecine war the result of the anarchy and chaos created by the US invasion. Some in the United States are now suggesting that they simply withdraw from the chaos that they themselves created. We don’t know what they will do in this case with the NATO, left high and dry by its American buddies in the conflict in Afghanistan, which is also becoming increasingly unmanageable and dangerous. In the eyes of the world, the so-called “crusade on terrorism” is unavoidably heading down the path to a humiliating defeat. The American people, just as in the case of Vietnam, will put an end to these unjust and criminal wars. We hope that the US authorities will learn that war is not the solution to the growing problems afflicting the planet; that proclaiming their right to irresponsibly attack “sixty or more dark corners” of the world, even when they are already stuck in two of them, makes their differences with other countries more complex and profound; that power based on intimidation and terror will never be anything more than a passing illusion and that the terrible consequences of this on the peoples of the world, including the American, are clear to see. We feel certain that the way to resolve the pressing conflicts afflicting mankind is not through war, but rather political solutions. We take this opportunity to once again state that we are willing to resolve at the negotiating table the longstanding dispute between the United States and Cuba, of course, provided they accept, as we have previously said, our condition as a country that will not tolerate any blemishes on its independence, and as long as said resolution is based on the principles of equality, reciprocity, non-interference and mutual respect. In the meantime, after almost half a century, we are willing to wait patiently until the moment when common sense prevails in the Washington power circles. Regardless of this, we shall continue to consolidate our nation’s military invulnerability based on the strategic concept of the War of All the People which we planned and began introducing 25 years ago. This type of popular war, as repeatedly proven throughout modern history, is simply invincible. We will continue to improve the preparation and combative cohesion of the regular troops and their reserves, the Territorial Militia, the Production and Defense Brigades and other elements of the territorial defense corps, including all levels of the party, state and government structures. We will continue to prepare the Theatre of Military Operations while developing communications and the modernization of combat resources in order to improve combative skills and adapt them to their envisaged use in the event of an attack. We will also continue to strengthen the important work carried out on all fronts by the dedicated combatants of the Ministry of the Interior. We will preserve the freedom of the Cuban people and the independence and sovereignty of the Homeland at all costs.